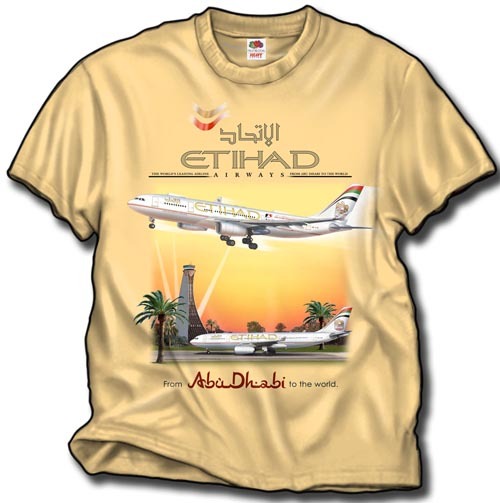 Etihad A-330 at Abu Dhabi! Not one, but TWO A-330's showing the new airport and tower at Abu Dhabi. One the front of a 100% cotton Gildan Yellow Haze shirt. Sizes L, XL, and 3XL (temporarily out of XXL).